Willows, Calif. – The NASA 25 Hours of Thunderhill, known as the longest road race in North America, ended with CLP Motorsports’ owner Pat O’Keefe bringing home its Lamborghini Super Trofeo #14 and placing 3rd (ES Class) and 5th Overall after the team completed over 700 laps on the 3-mile raceway. 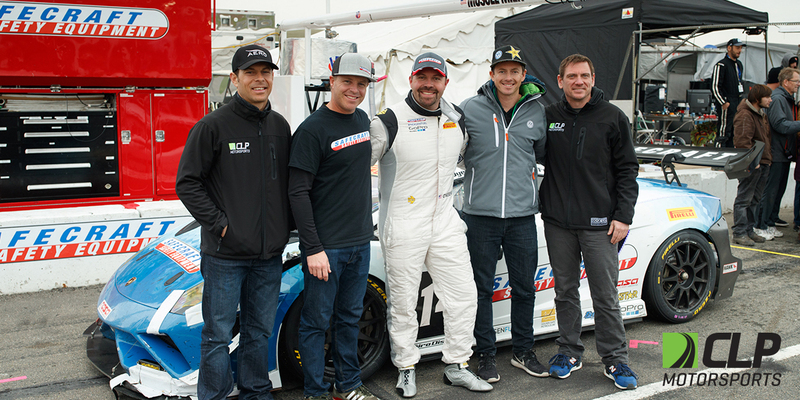 To commemorate CLP Motorsports’ outstanding teamwork of the crew including All-Star drivers Tyler McQuarrie, Tanner Foust, Marc Miller and Tom Dyer, Safecraft Safety Equipment, one of the team’s sponsors, will dedicate a bridge in honor of the group “Surviving the 25” at Thunderhill Raceway. “We made it! Finished P3 in class and 5th overall & “Survived the 25” again with the awesome Safecraft/CLP Motorsports team. The car needed some glue to hold it all together and it worked! Awesome job to my guys and teammates for making it happen and getting to the finish. Honored to be a part of this effort!